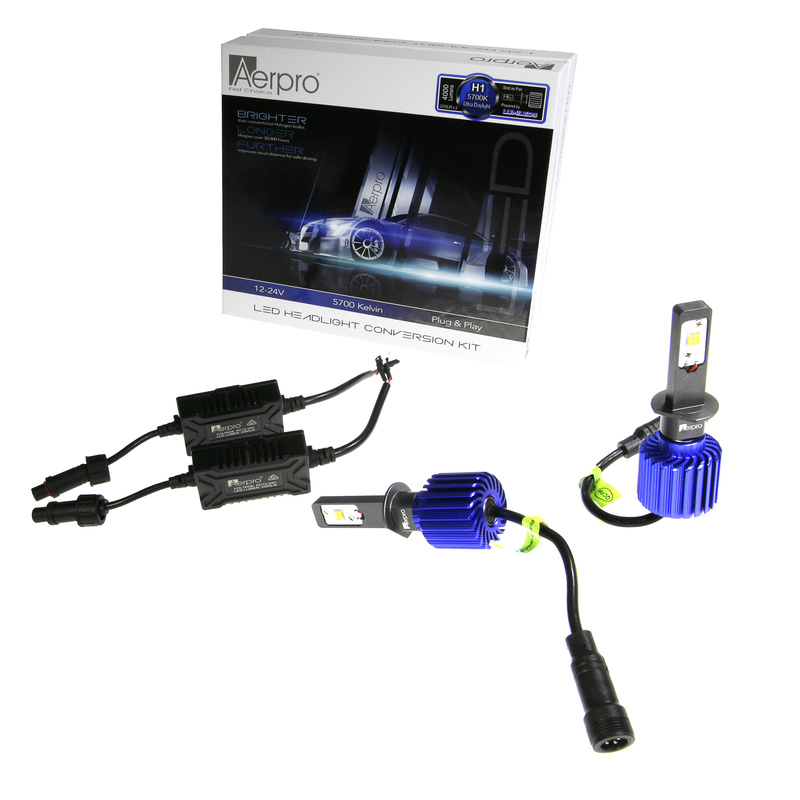 Get brighter light that lasts longer and see further with the Aerpro LED headlight globe replacements. Aerpro 6K series LED headlight globe replacements can produce up to 6,000 Lumens of light (Thatâ€™s alot). A pair of basic 12V 60/55W Halogen H4 globe will only produce up to approximately 2,000 Lumens on Low beam. We use some of the best LED chips available! If youâ€™ve been looking at LED headlight globes you may have noticed some brandâ€™s LEDs arenâ€™t in exactly the same position as a standard halogen globe. This means the light produced will be re-flecting off the wrong part of the headlight reflector, this will often result in a poor light pattern being produced and can be dangerous for on coming traffic. Not ours! We spent countless hours making sure our LED chips line up perfectly with the halogen globe of the same style.